Located at the southern end of the Tri-Villages, Salvo offers a calm escape from the bustle of life. Its alleged, that Salvo got its name during the Civil war when a passing Union vessel spotted the small settlement and ordered an attack, leading a sailor to mark “Salvo” on the map. 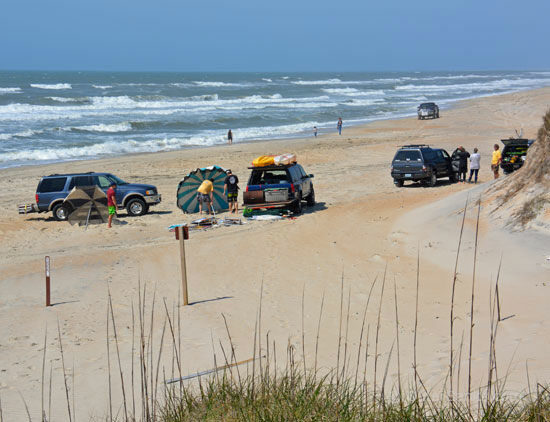 Noted for its large beaches and double dunes, Salvo retains the simplistic life and pace of fishermen despite the development of the surrounding towns of Avon and Rodanthe. The beauty of Salvo can be enjoyed by driving on its white sandy beaches or by taking a stroll along the wood-planked pathway to enjoy the beauty of the Pamlico Sound.